According to him, 171 houses were examined based on the said appeal. “The commission formed in light of the incident continues inspecting the houses. According to their conclusion, it has been established that 29 of the inspected houses are in a critical condition (destroyed), 63 houses can be rebuilt, and 42 houses are in need of repair works. 37 houses are in a satisfactory condition," Aliyev said. Aliyev said that 12 of the destroyed houses are located in the rehion center, and 17 in the villages. "Residents of the destroyed houses are temporarily housed in the apartments of their relatives. Right now, the commission continues to evaluate the situation in the earthquake zone," he said. 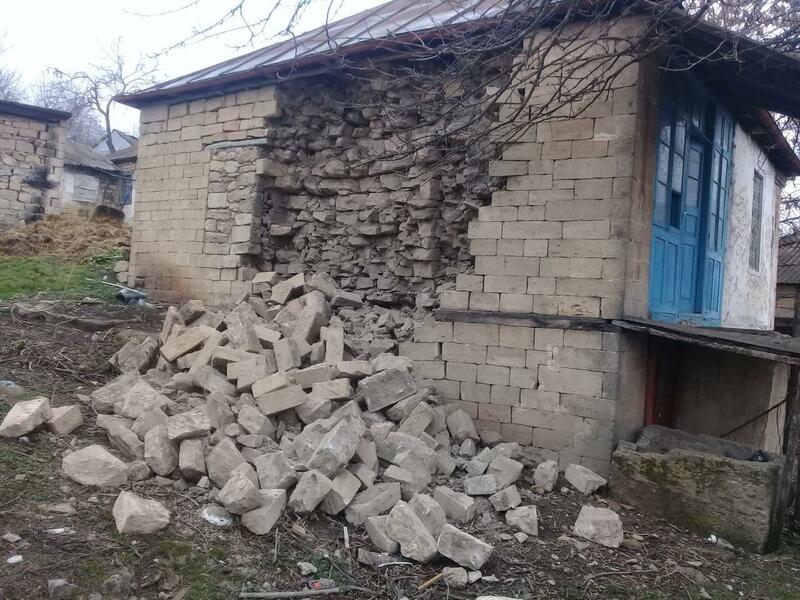 On Feb. 5-6, five earthquakes were recorded in various regions of Azerbaijan. An earthquake was recorded on Feb. 5 at 23:31 (GMT+4), 11 km south-west of the Pirgulu station, in the territory of Ismayilli. According to data from the Republican Seismic Survey Center, the earthquake’s was felt at its epicenter at a magnitude of 6, and 3-5 in its vicinity. Destruction has been mainly reported in the Shamakhi. A 3-point earthquake was recorded on Feb. 6 at 02:34 (GMT+4), 8 km south-west of the Pirgulu station, in the territory of Ismayilli, with another being recorded at 04:25 (GMT+4). Victims were provided with first aid, after which they were discharged. No casualties have been reported.